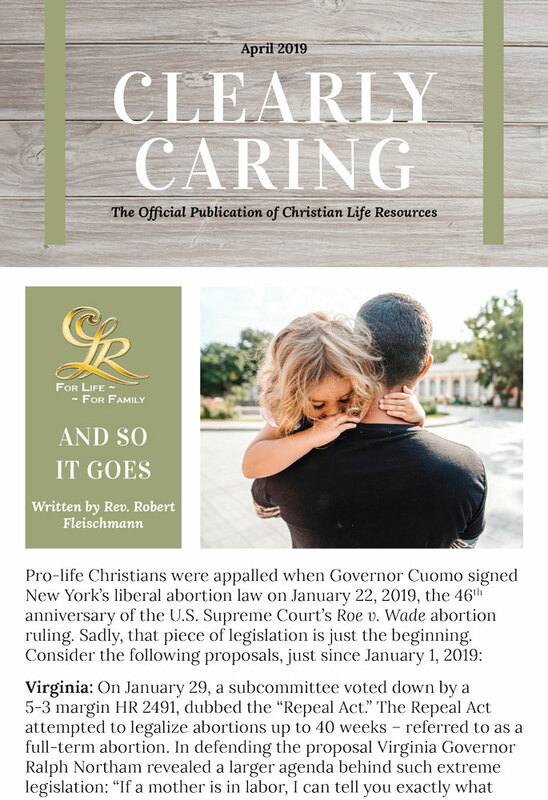 Pro-life Christians were appalled when Governor Cuomo signed New York’s liberal abortion law on January 22, 2019, the 46th anniversary of the U.S. Supreme Court’s Roe v. Wade abortion ruling. Sadly, that piece of legislation is just the beginning. Virginia: On January 29, a subcommittee voted down by a 5-3 margin HR 2491, dubbed the “Repeal Act.” The Repeal Act attempted to legalize abortions up to 40 weeks – referred to as a full-term abortion. In defending the proposal Virginia Governor Ralph Northam revealed a larger agenda behind such extreme legislation: “If a mother is in labor, I can tell you exactly what would happen. The infant would be delivered. The infant would be kept comfortable. The infant would be resuscitated if that’s what the mother and the family desired, and then a discussion would ensue between the physicians and the mother.” In the Netherlands, this is called the Groningen Protocol, a decision-making process that permits the termination of the lives of born babies if they do not meet a quality-of-life standard. That protocol arose from the country’s legalization of euthanasia.